The Full Height Turnstiles RS 998 is designed to provide unsupervised Access Control for office or building. The impenetrable contruction eliminates any unauthorized access to restricted areas. To gain authorized passage through the F100, the user must present a valid card for the access control system. Upon presentation of the valid card. the F100 will unlock and allow the user to pass through the direction requested. 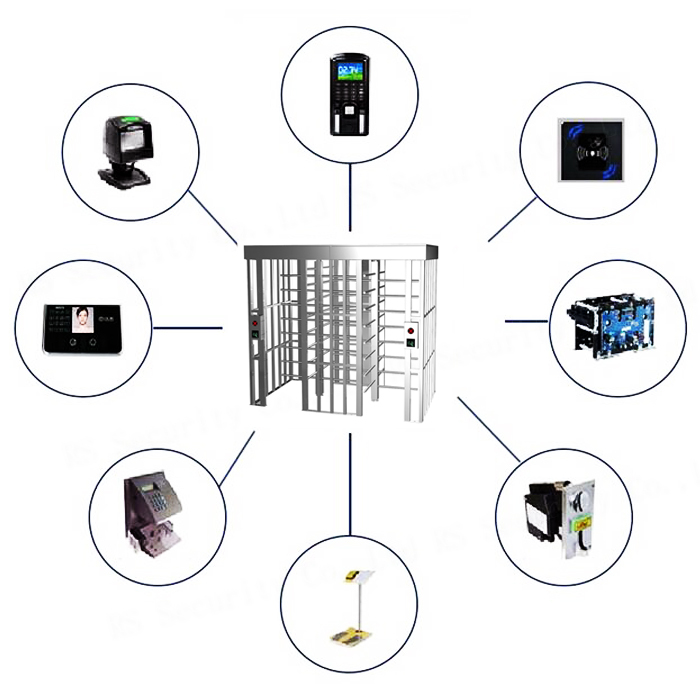 The Turnstile can also work with push button, finger print and face recognition access control system. Looking for ideal Full Height Turnstile Gate Manufacturer & supplier ? We have a wide selection at great prices to help you get creative. All the Full Height Turnstile Price are quality guaranteed. We are China Origin Factory of Full Height Turnstile Company. If you have any question, please feel free to contact us.